Possible PH or K deficiency? @kyberky s is more likely to be a touch of nutrient burn instead of a deficiency. She’s looking great. looks good to me @kyberky, but don’t take my word for it, mine still have the first round leaves on it lol welcome to the forums and congrats on getting thru the first grow. yep 2nd should always be easier than the first as long as you’re paying attention to what’s going on. good luck on the rest of your grow, i’ll be following along about a week or two behind ya. @kyberky If you have only watered once in the first 12 days. are you using a humi- dome type device or is water standing in cup… just a thought. the leaves look plump imho. Your plant doesn’t have a deficiency at that stage. The cots will provide everything it needs for now. I’d suspect the others are right, potentially little higher nutrient charge in your grow medium. You may have over watered a bit. They don’t need a lot at this stage. First "WELCOME TO ILGM " and to our awesome COMMUNITY. Don’t feed that seedling anything ok not until that seedling has 5 or 6 sets of true leafs on it. 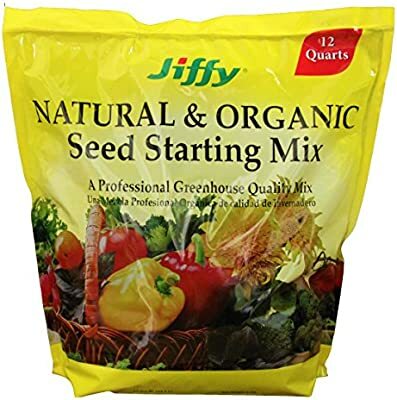 Jiffy Seed starting mix is designed for special PH and nutrient needs of seed and plants. The 12 quart size is perfect size for easy handling. Seems to be doing MUCH better than the highly nuted fox farm ocean soil. I will eventually transplant over to the FF Ocean soil though. The watering seems to always be the possible issue haha. I feel like I am depriving the little one of water. I do give it a light pump worth of mist on it’s leaves because I figure it might like that, I will hold off on doing that now. @Holmes That is exactly what I am doing I cut a cup in half, poked a few holes in it, and placed it over top of the seedling cup. It works really well but I do spray the inside of the top cup every night so as to keep it humid and moist in there. I remove the cup for a few hours a night to let it get some fresh air though. Should I possibly remove the top dome overnight so I don’t create a musty and stagnant air field for the seed? @Monkman Thanks! This is a very interesting process and I love seeing the different stages the little fella is going through. I check it a couple times a day but I won’t be surprised if I do something wrong and have to learn the hard way hah. @garrigan65 This forum has been a wonderful source of info. I appreciate all of the input and it sounds like I should go ahead and hold off on nutes for a little while. I will keep my eye on the little one! Yes you don’t feed her ok you will just make more problems. Misting her she will love you for it … lol. Your on the wright track…i’ll be watching and if you need anything at all besides money …lol… i’m here for ya. Haha, well I really appreciate all the help I can get! I will check on the little one and keep an update of the status. Thank you again for the assistance! You guys were right, I just had to be patient. The first two leaves did turn a bit brown/yellow on the sides (maybe covering 4% of the leaves) but in the middle is a huge bushel of a bunch of leaves ready to sprout in a few days. I have since removed the cup from the top (for humidity control) and just left the fan on it constantly. In the past week I have also watered the little guy with 8oz of 6.5ph water and it seems to be doing well now. I will post a pic a little later on. You don’t have to leave the fan on it. Air circulation is ok, but directly on the plant at any time in its life cycle is not reccomended. At this stage (as @garrigan65 said) you’re better off just misting the seedling. the root have not developed and take in a very small amount of water. They take in water better through their leaves. So mist with your ph’d water. And, no fertilizer just yet. @GFDuke Ok cool, I ended up turning the fan away from it just so it can get some sort of ambient breeze. So, here is an updated pic after 11 days. I am liking the growth of the baby leaves in the center, but I am still a tad worried about the discoloring of the first set of leaves. With that being said, do MJ plants shed their leaves similar to some types of plants? Kind of like how baby teeth fall out, is there a chance that these are “baby leaves” and they are meant to die off? Ohhh, that is interesting…this is such a cool process to go through. The plant looks wet. Mist the soil, not the plant. The water will magnify the light and burn it. Do not use see through cups, roots do not like light, drop that cup into another black cup or something that stops the light getting through, do not over water the seedling. Seedling take in very little water through the roots and the light shouldn’t be strong enough to burn it. This is root development stage. yes, some water is needed in the soil. But misting is good. Oh shoot, I didn’t know about the whole see-through cup being bad D: I will remedy that now. They were on sale at wally world haha. you can use them but make sure you drop them into another container that blocks out the light. Then you can lift the clear one out at times to look at the root growth. Update on the little seedling. I have since transplanted the seed into it’s final home and that went great. Seedling has been looking MUCH healthier since I put a good PH solution in the mix and stopped watering so much (still takes getting used to to NOT water it hah) My question now is regarding what state the flower is in. I have read different words being thrown around such as veg state, flower state, bloom state, etc. Could someone help identify what each state looks like so I can better provide the correct light schedule? I will be referencing my ViparSpectra handbook for these phase it is in. Is the flowering stage where the actual important parts of the plant start forming?